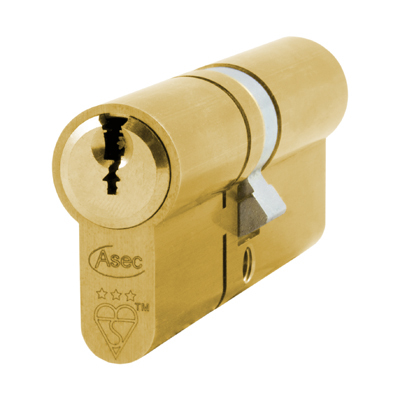 New from Asec Security, and to boost their existing range of British Standard Cylinders, is the new Asec Kite Elite Euro double cylinders with a long list of security standards! The threat of cylinder snapping has been around for over 2 years now, as first highlighted by the BBC, and more recently ITV’s this morning. Kite elite cylinders have a break away section to the front of the cylinder that when forced will come away from the rest of the cylinder, but does not then allow access to the lock case mechanism. 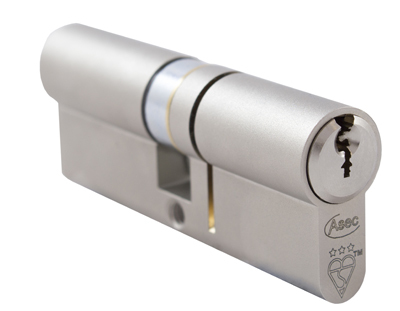 Additionally a safety pin is deployed into the cam if the break away section is snapped off, this further restricts any manipulation of the lock case. These cylinders are great replacements for UPVC front doors, for anyone that is concerned about home security, they offer great protection against all current know cylinder attack methods, such as picking, bumping, drilling and snapping. 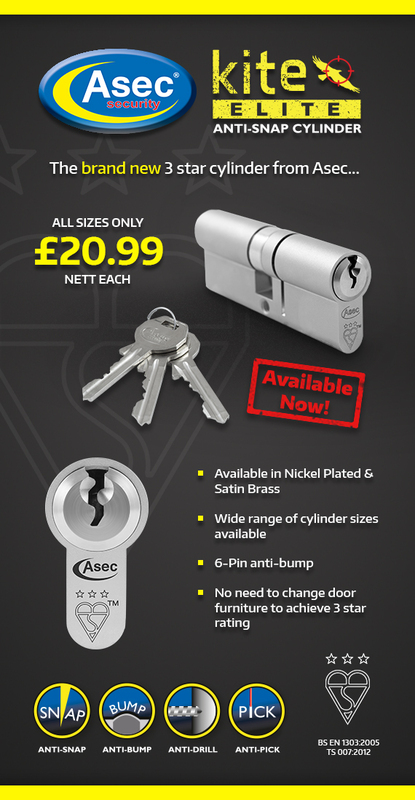 The new Kite Elite range of cylinders are available in a satin or brass finish to match other door hardware and can also be supplied keyed alike, each cylinder is supplied with 3 keys.